Has anybody got one of these radios, either in pieces or willing to take the bottom off and have a look at something? I have one with a wire come adrift, and the diagram does not help me. Can you upload a photo and tell us where the other end of the wire goes to ? 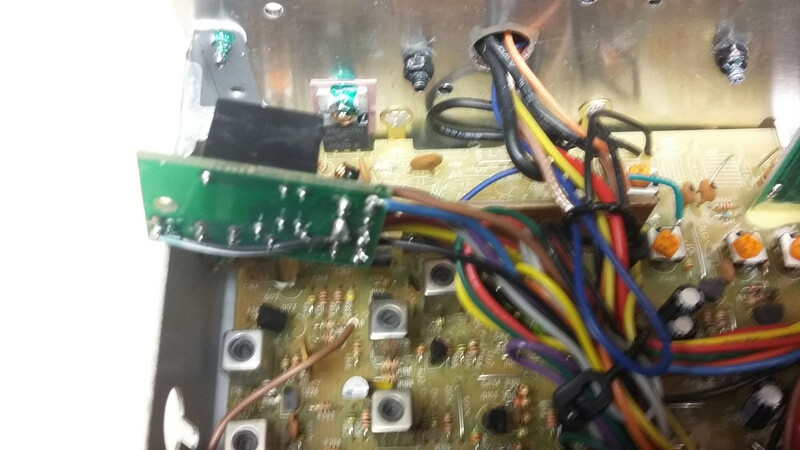 Brown wire comes from relay board at back of radio. 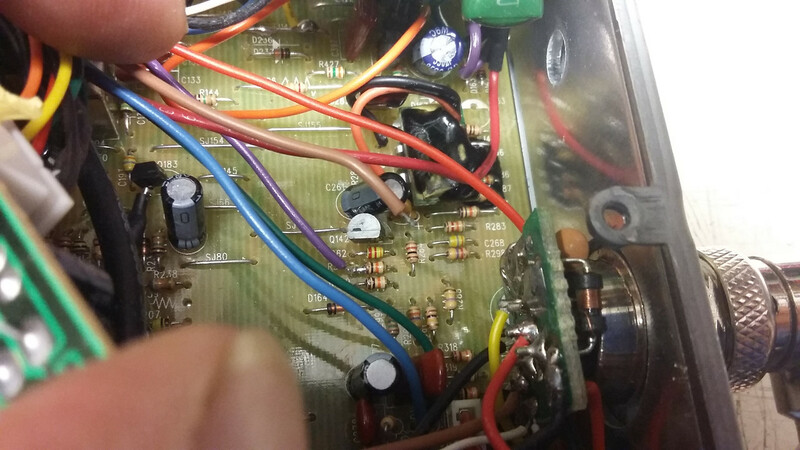 It goes to somewhere by the mic socket, and 4558 op amp. You can see it in mid air. Thanks for the info Claude . Hopefully Andy will get back to us and let us know if those photos helped him out . I managed to find the info via Farcebook off some guy in USAland, who had one that was junk. Having re-connected the offending wire, I also have one that is junk! Yet another crock of rubbish.